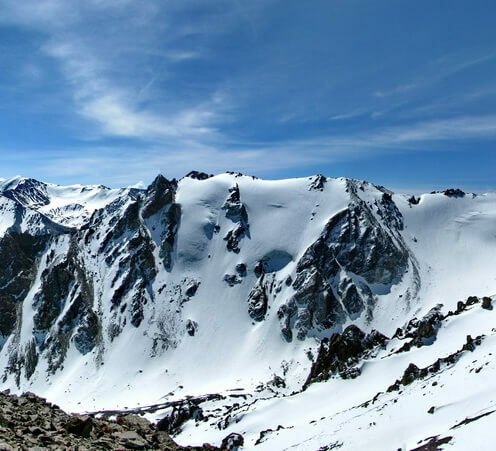 There are highest peaks in the mountains near Almaty, you can climb for 2-3 days on them without special climbing equipment. 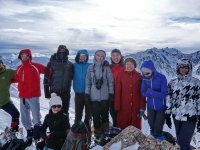 Least of all time takes to climb on the peaks Molodejniy and Sovetov – 2 days. The easiest is to climb to the mount Karniznaya. 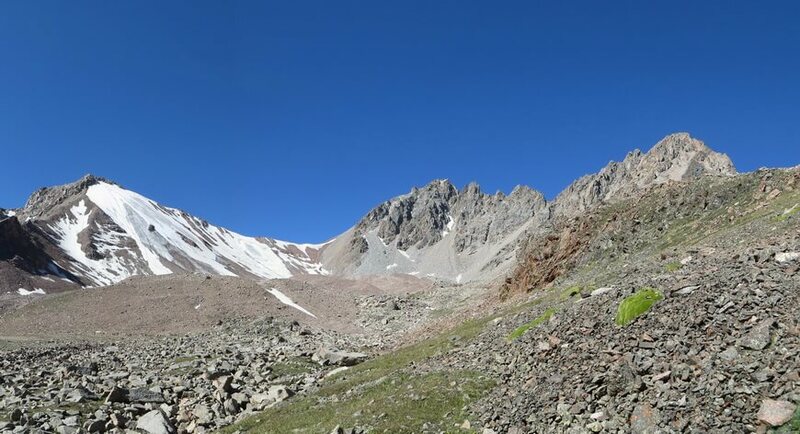 Other routes pass through the steeper slopes with enough length of sections of stone scree, which complicates the movement. You should be in good health, it helps quickly adapts to the altitude in the mountains. Day 1. Transfer to the Big Almaty gorge (1 h). 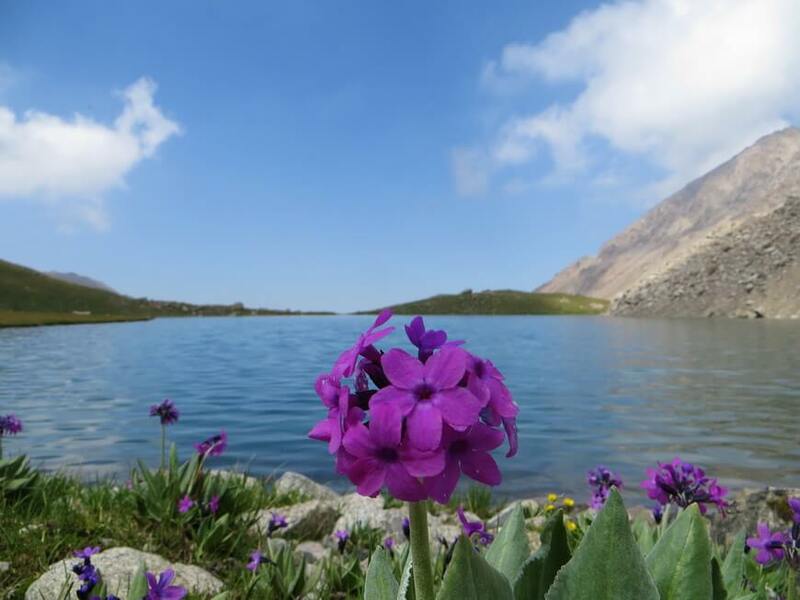 The approach under the top: Hotel «Alpine Rose» – Moon glade – Kumbelsu pass – Glacier moraine shaft Soviets. Distance: 8 km; 6 h. Difference in height: +1,200 m / -100 m.
Day 2 . Climb to the mount. Descent to the camp on the southern slope. Descent from camp to the Alpine Rose from the first day. Transfer to Almaty (1 h). 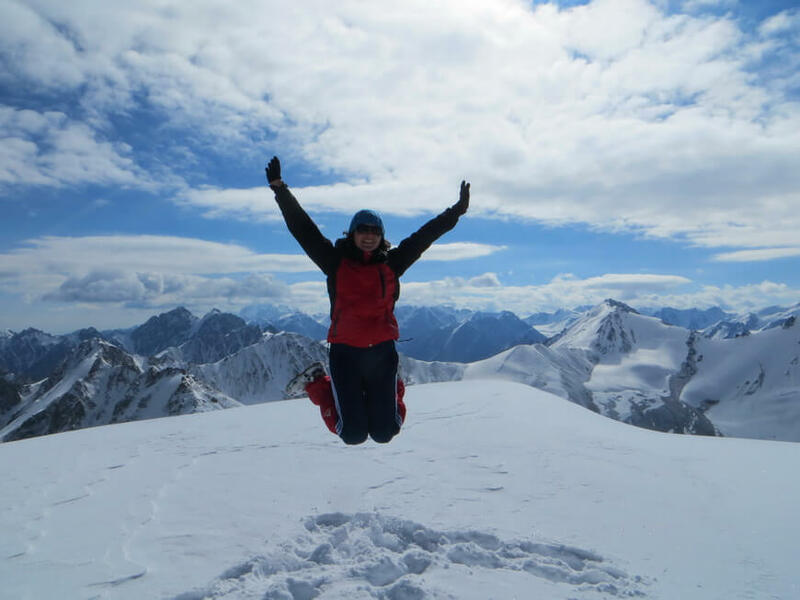 Distance: 14 km; 9-10 h . The difference in height: +850 m / -1,950 m.
Trek 2 – peak Sovetov 4,317 m. The highest! Day 1. 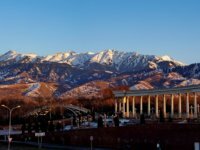 Transfer to the Big Almaty lake (1 hour). The approach under the top. Big Almaty lake – river Ozernaya. Distance: 7 km; 3.5 h. The difference in height: +550 m.
Day 2. Climb to the mount. Descend along the ascent to the camp. Descent from camp to the Big Almaty lake from the first day. Transfer to Almaty (1 h). 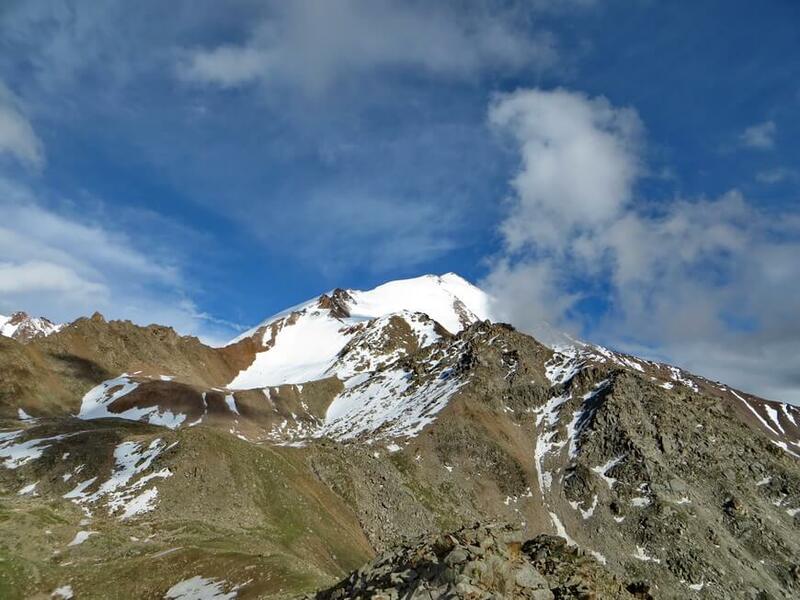 Distance: 15 km; 11 h. The difference in height: +1,300 m / -1,850 m.
Trek 3 – mount Karniznaya 4,075 m. The easiest climb! Day 1. Transfer to Alma-Arasan sanatorium (30-40 min). Prohodnoe gorge – waterfall Maiden’s Tears – canyon Big Iguzek – Terra meadow – Aleshka bridge. Distance: 8 km; 5 h. The difference in height: +1,000 m.
Day 2. 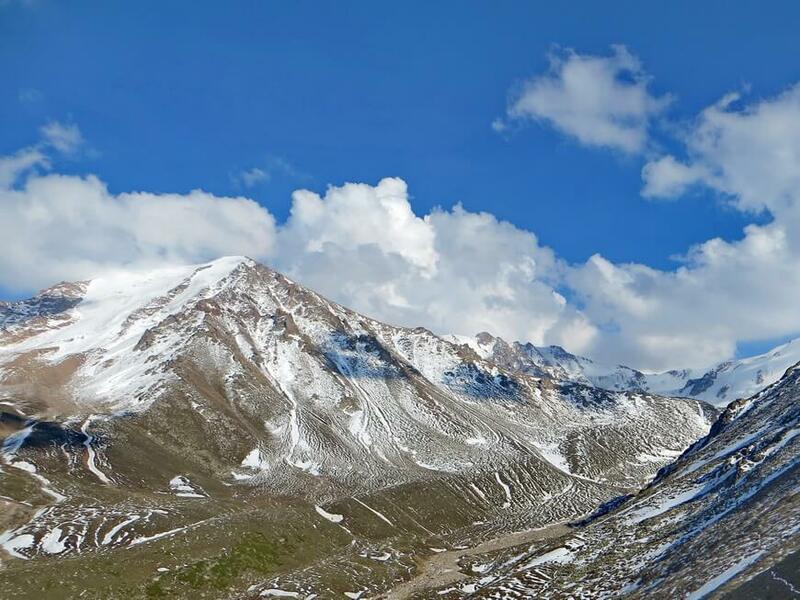 Marmot meadow – Alpine valley – Alagir river – Almaty-Alagir pass – mount Karniznaya. Descend along the ascent to the camp. Distance: 22 km; 11 h. The difference in height: +1,350 m / -1,350 m.
Day 3. Descent from camp to the Alma-Arasan sanatorium from the first day. Transfer to Almaty (30-40 min). Distance: 8 km; 3 h. Difference in height -1,000 m.
Day 2. 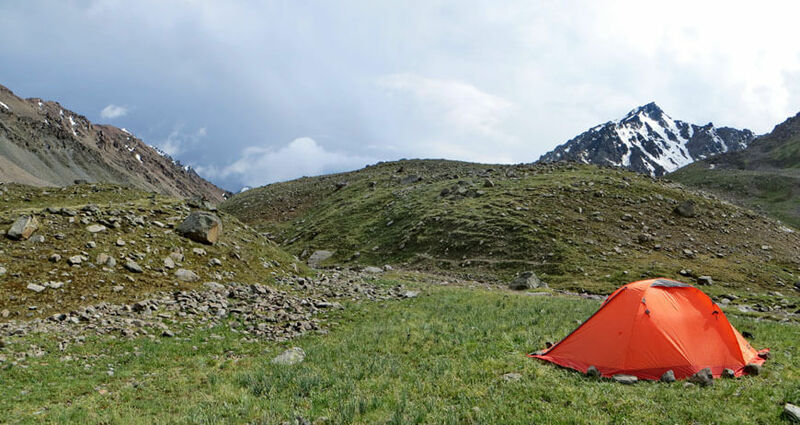 Marmot meadow – Alpine valley – nameless valley – peak Kazakhstan Tourist. Descend along the ascent to the camp. Distance: 14 km; 10 h. The difference in height: +1,250 m / -1,250 m.
Distance: 8 km; 3 h. Difference in height: -1,000 m.
Day 1. Transfer to the village “Alma” (30-40 min). Kargaly gorge – birch grove – Moon glade – Alpine valley. Distance: 13 km; 8 h. Difference in height: 1,600 m.
Day 2. 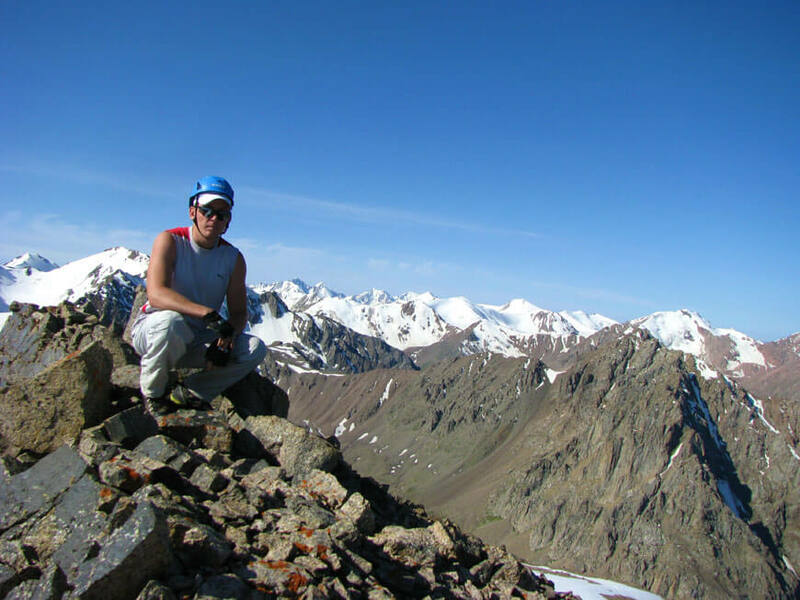 Kargaly gorge – moraine shaft – Kargalinsky pass – peak 10 years of Kazakhstan Independence. Descent to the moraine shaft. Distance: 11 km; 8 h. Difference in height: 900 m / -900 m.
Day 3. Descent from camp to the village “Alma”. Transfer to Almaty (30-40 min). 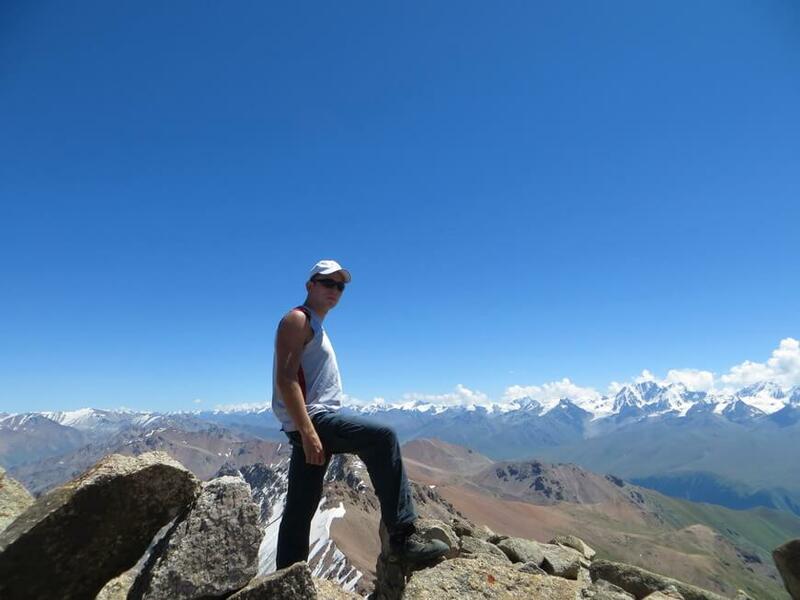 Distance: 13 km; 5 h. Difference in height: -1,600 m.
Trek 6 – peak Southern Chemolgan 4,041 m. Recommended! 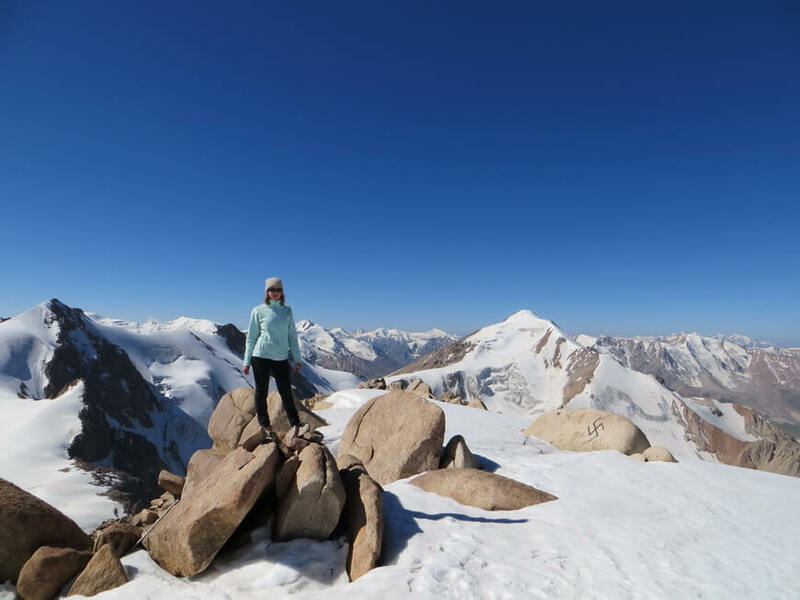 Krugloe and Aykol lakes – unknown peak and original trek! The road passes through two gorges, which are located in the picturesque moraine lake! Day 1. Transfer to Kaskelen gorge (2 h). 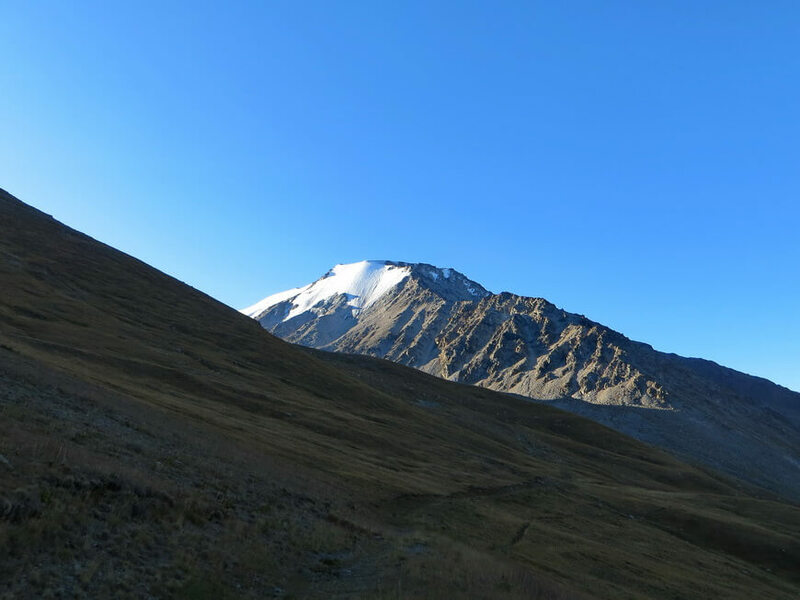 Maralova economy – Kasymbek pass – Koktobe mount – Right Chemolgan gorge. Distance: 13 km; 8 h. Difference in height: 1,450 m / -250 m.
Day 2. 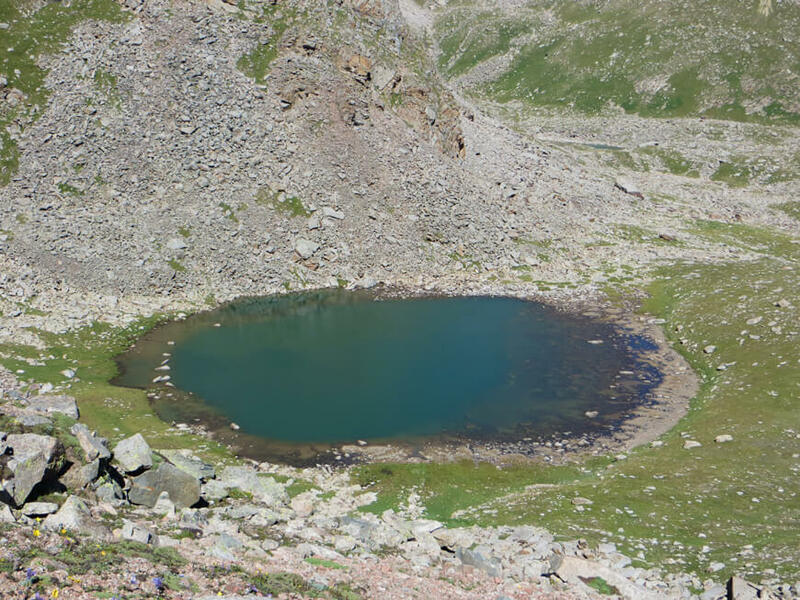 Krugloe lake – Right Chemolgan pass – Southern Chemolgan peak – Middle Chemolgan pass – Aykol lake. Distance: 8 km ; 7 h. Difference in height: 1,100 m / -650 m.
Day 3. Middle Chemolgan gorge – Right Chemolgan gorge – Koktobe mount. The descent from the first day. Transfer to Almaty (2 hours). Distance: 17.5 km; 7 hours. Difference in height: 350 m / -2,000 m.